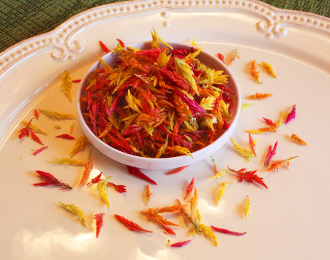 Fiery mix of red, yellow & orange; tiny petals with a mild taste of corn. Mix in salads to add vibrance. Decorate pastries & sorbets. Long lasting.